The UNO Jazz Combo will be joined by the Jazeps Vitols Latvian Music Academy Jazz Combo for an evening of jazz at Omaha's newest jazz club; Feb. 17. 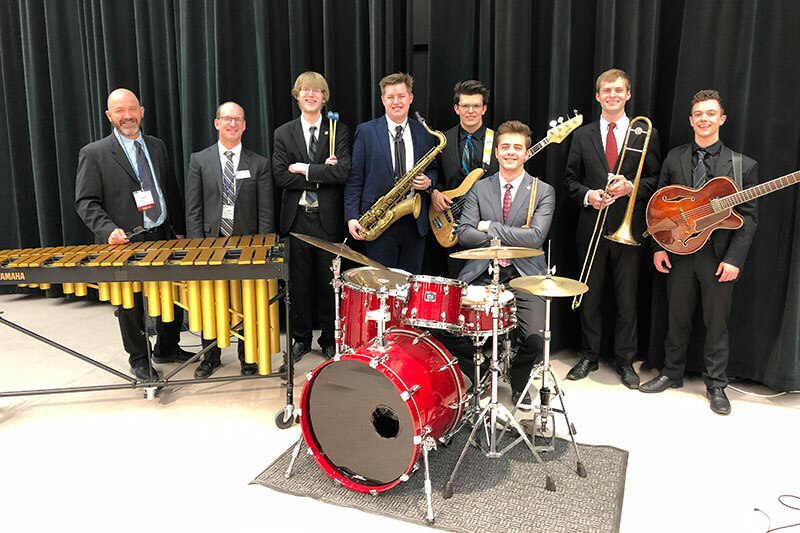 The UNO Jazz Combo will be joined by the Jazeps Vitols Latvian Music Academy (JVLMA) Jazz Combo for an evening of jazz at Omaha's newest jazz club, the Jewell, on Sunday, Feb. 17 at 6:30 P.M. and 8:30 P.M. The Jewell opened in January 2019 at 1030 Capitol Avenue. A unique dining experience; the Jewell is home to local, emerging artists and national acts performing in a space that is truly one-of-a-kind. Tickets are available at jewellomaha.com or at the door for $15, or $5 for students.